The links to the left contain pictures taken during the development of Munin. If you publish these pictures (which is perfectly OK! ), give credit to the Swedish Institute of Space Physics, Kiruna, Sweden, or in Swedish: Institutet för rymdfysik, Kiruna. Ph. 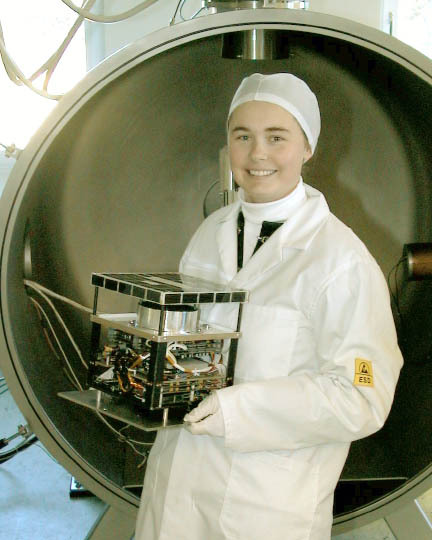 D. student Solveig Høymark with Munin. In the background the electron- and ion calibration facility at IRF in Kiruna.